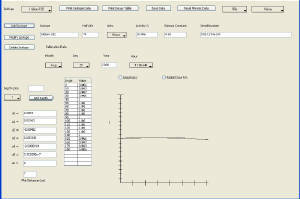 BrachyCheck is a powerful diagnostic tool that allows the user to perform a fully independent calculation check of their brachytherapy treatment plan as well as calculate standard quality parameters. Currently all of the APBIQA parameters can be quickly calculated with just a few mouse clicks.. BrachyCheck uses a source library in which the user may edit all of the TG-43 parameters of a given isotope including serial number and calibration activity. These parameters can be printed out for record keeping. Plan information can be imported via a DICOM RT Plan file or entered manually. In addition to DICOM RT Plan the user can also import DICOM Structure sets and view projections of any contour over the brachytherapy sources. The system also allows for the creation of additional pseudo-structures for inclusion in the DVH computation, thus allowing for the creation of Normal Breast or Normal PTV as an example. BrachyCheck is the only system to allow import of DICOM structure sets for this purpose. 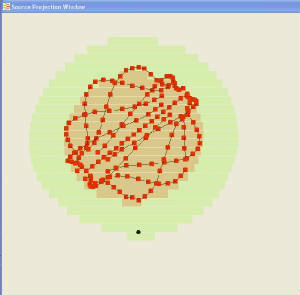 The computation allows for the user to incorporate the anisotropy with even greater precision by computing the directional cosines of a given source train. 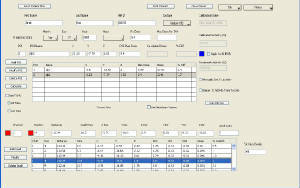 All outputs can be printed in a convenient report.